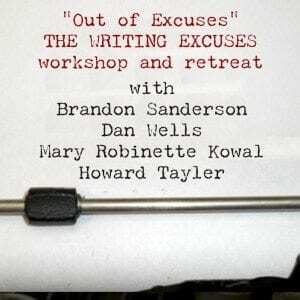 For the first time, the Writing Excuses team is hosting a workshop and retreat for our listeners. This week long event gives you one on one time with the hosts, Brandon Sanderson, Dan Wells, Mary Robinette Kowal, and Howard Tayler. Registration is currently sold out. Please scroll down for information about the waiting list. The week kicks off with three full days of intensive workshops taught by the WX hosts. All on-campus meals are included during the week. WX will also be recording sessions while there, so you will get an opportunity to shape episodes by the questions you ask. Plus you get to watch the team record live. This event is being held at Woodthrush Woods in Chattanooga, TN. Set on thirteen wooded acres, Mary Robinette Kowal’s grandfather built this house on the old family farm. There are two houses on the rustic property, the main house, Woodhrush Woods itself and the log house, Robin’s Roost. Walking paths allow you to explore the grounds, wade in the creek, or just sit in the rocking chairs on the front porch. Mary’s grandfather was an electrician so there are outlets everywhere and wifi throughout both houses. That’s right, you can write outside in the pergola with an outlet and wifi. Because Mary’s grandparents built their home to entertain and hold folk dances, the spacious rooms provide plenty of places to write in a group or find a private space. Workshops will be held in the sunroom at Robin’s Roost. Meals on-campus are part of your registration. This includes a continental breakfast served in both houses, lunches at Robin’s Roost, and dinners at Woodthrush Woods. Please note: This is a private residence built in the first half of the 1900s, and not wheelchair accessible. There are steps and raised thresholds everywhere. A limited number of rooms are available “on campus” for a full immersion experience. Prices for those include registration, meals, and the room. Please read the descriptions carefully as there are rooms in both Woodthrush Woods and Robin’s Roost. We have also arranged for a block of rooms at a nearby Best Western, which is an easy quarter mile walk to Woodthrush. Total cost for a room in the Best Western block is $492.38. This is in addition to the registration fee. If this is your chosen housing option, register with basic attendance registration and further instructions will be sent to you. This is 15 minute one-on-one editing session. Bring the first five pages of a manuscript and get immediate feedback on your writing from a best-selling author. You can set the focus, whether it is plot, style, or general advice. Each person must come prepared with a story idea, including an ending, and Dan will help turn it into a working outline ready for you to start writing. Sit down with Howard and get your blurb on. In this short, tightly-focused session Howard will work with you on crafting a fifty- to one-hundred word blurb designed to turn browsers and window-shoppers into buyers. Registration has sold out, but there is a waiting list available. If a spot opens up, you will be notified by email in the order in which your name is on the list. You will have 24 hours to respond once a spot opens. 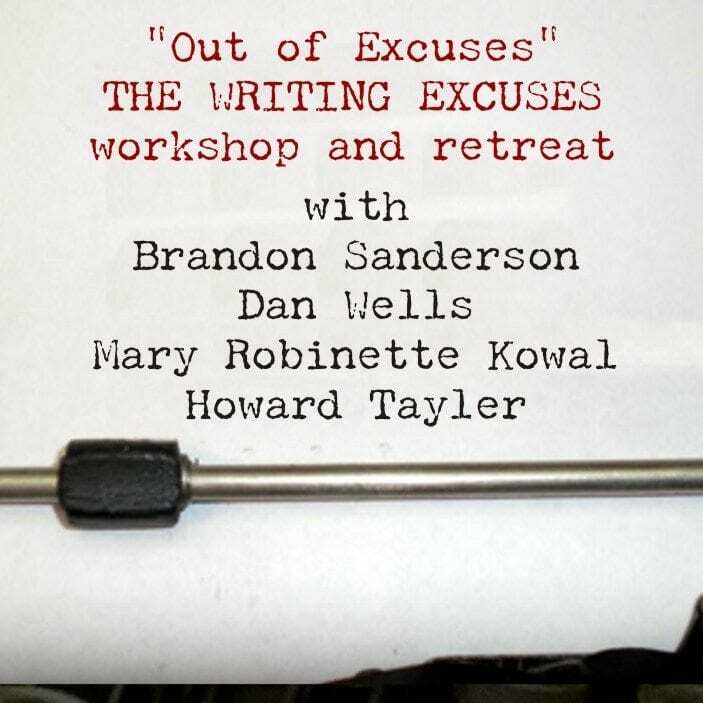 If you’ve got additional questions or concerns, please email retreat@writingexcuses.com, and we’ll answer your question just as soon as we can.